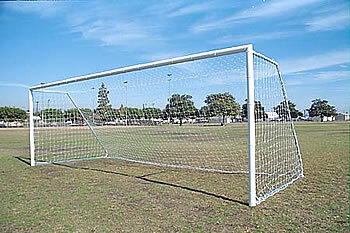 Soccer goals — the standard in sports equipment for your athletic fields. 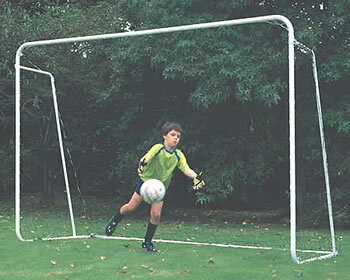 These soccer goals come in several models: official-size permanent soccer goal, official-size portable soccer goal, junior soccer goal, and combination football/soccer goal. Each soccer goal is forged from steel, made by leading manufacturers in the sports business. 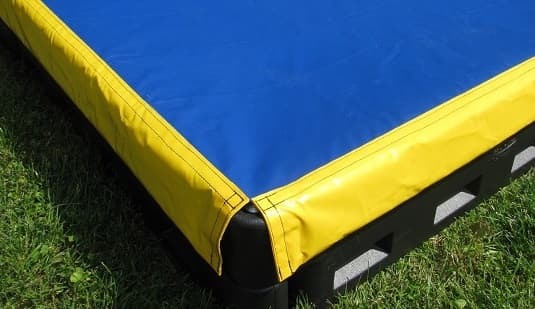 Turn your soccer players loose on the field to dribble, shoot, and score on these goals from Maryland Materials, your national playground and athletic equipment dealer. This goal meets all official standards. The net attachments are welded at 12″ intervals. The goal has 1-7/8″ OD supports. Goalweighs 530 lbs. Price: $2,603.00 (pair). Make your soccer games mobile with our portable goals. The net attachments are welded at 12″ intervals. 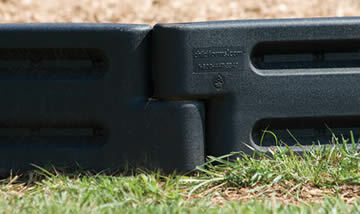 The goal has 1-7/8″ OD supports.Portable Steel Soccer Goalweighs 600 lbs. Price: $2,929.00 (pair). 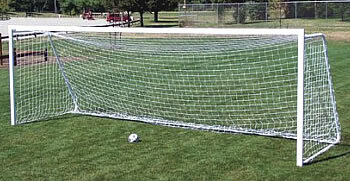 View the Consumer Product Safety Commission’s recommendations for portable soccer goals here. A solid goal for smaller competitors. Two sizes of width available: 24 feet or 12 feet. Measures 7′ H x 10′ D, with 2-3/8″ OD pipe. Can be made portable using eight 2-3/8″ ground sockets. Notes: nets are not included.24′ Model weighs 280 lbs. 12′ Model weighs 160 lbs. This practical combination turns your athletic fields into dual usage spaces. 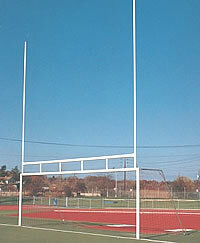 Cross-bar is available in lengths of 23’4″ and 18’6″.